Huawei, and its sub-brand Honor, have been fiddling with dual cameras on not just the rear but also the front of its smartphones. After a slew of smartphones with four cameras, the company is set to launch yet another smartphone series in this style. 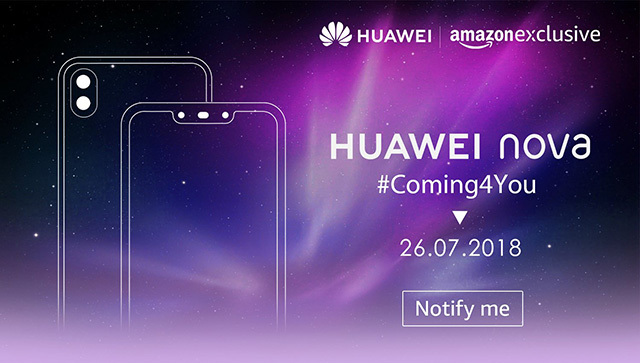 On July 26, Huawei will be launching two new smartphones in India – the Nova 3 and Nova 3i – which will be sold exclusively via Amazon India. Based on the listing page on Amazon.in, the smartphone will come with a notched display and four cameras. The posters also tease other features such as AI photography, up to 128GB storage, and Huawei’s 3D Qmoji. 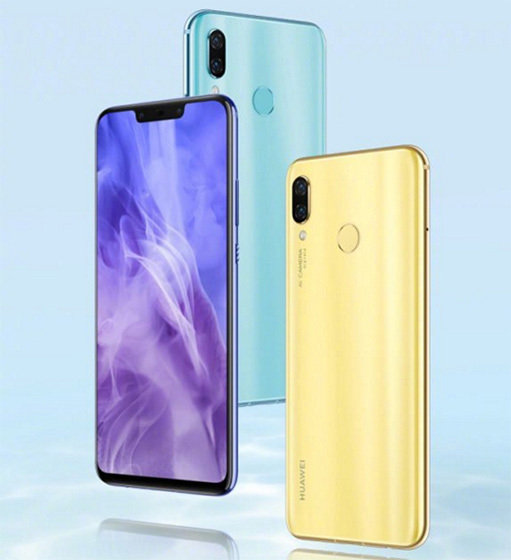 Based on rumors, the Huawei Nova 3 will be powered by the company’s flagship chipset, Kirin 970, while the Nova 3i will use a new 12mm SoC which is likely to be dubbed “Kirin 710”. As per FoneArena, both the smartphones will feature 6.3-inch displays with a resolution of 2340×1080 (aspect ratio of 19.5:9). The Huawei Nova 3 will feature 16MP and 24MP cameras on the back while the Nova 3i will come to utilize a pair of 16MP and 2MP sensors on the rear. On the front, both the smartphones will use 24MP+2MP sensors. Both – Nova 3 and 3i – should get face unlocking feature but the former is likely to be equipped with an infrared sensor to scan the face properly even in low light. The two smartphones are likely to run on EMUI 8.2 based on Android Oreo 8.1. 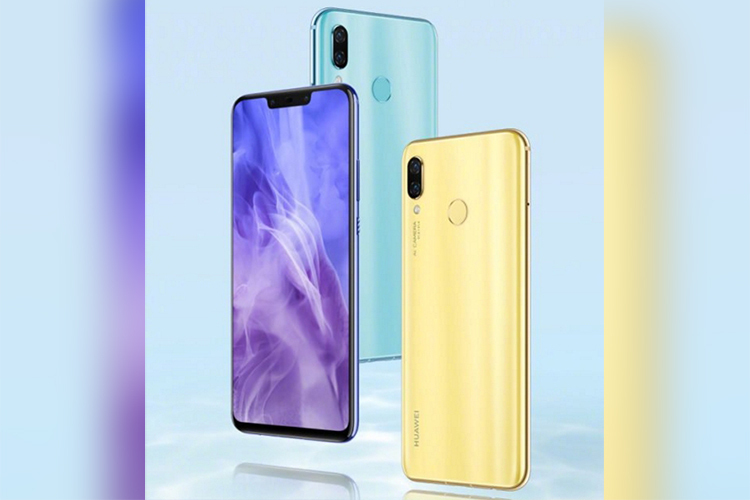 Buyers will have the option to choose between 4GB and 6GB RAM variants of the Huawei Nova 3i while the Nova 3 will have a single variant i.e. 6GB. In terms of storage, both smartphones will have 64GB and 128GB options to choose from. The Nova 3 was listed on VMall last week while the Nova 3i is yet to go official. While there is no word on the pricing, the Nova 3 could be expected to fall in between Rs. 30,000 and Rs. 40,000 and the Nova 3i could be priced around Rs. 25,000. Meanwhile, Huawei’s Honor is likely to unveil the Honor 9i (2018) in a separate event two days before the Nova 3 and 3i.